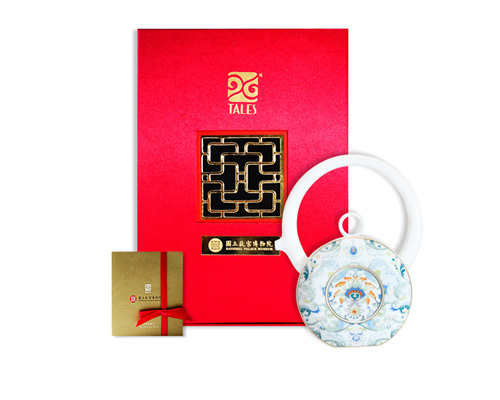 Unique one pot and two cups design enables the two to enjoy a lovely and tranquil teatime. 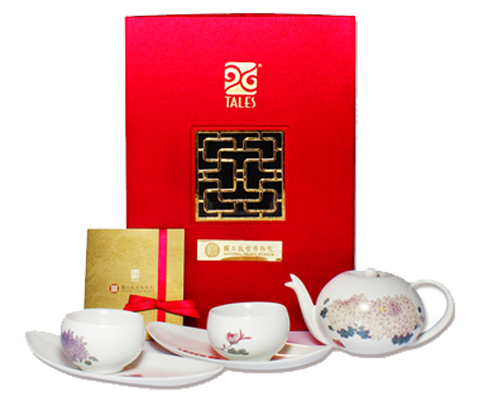 With its exquisite design and honored with many brand and product awards, no big deal to have teatime alone while using this exquisite tea set. 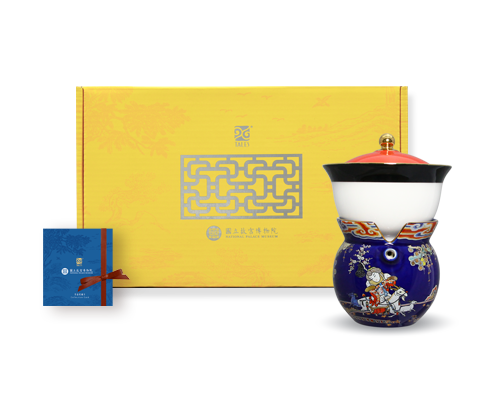 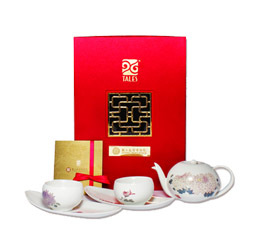 With an auspice from Embroidery of Nine Goats Opening the New Year painting on its body, this porcelain tea set is completely a cup of tea for everyone during this year of Goat. 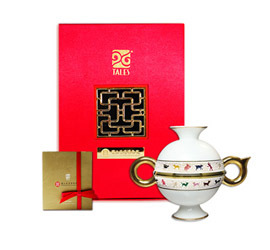 This one pot and four cups tea set with butterfly pattern is well worth its value. 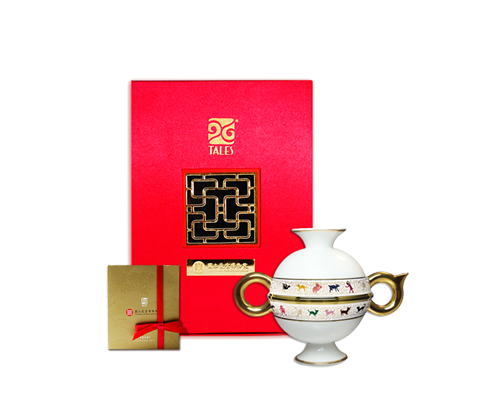 Successive luck also comes with these colorful fluttering butterflies. 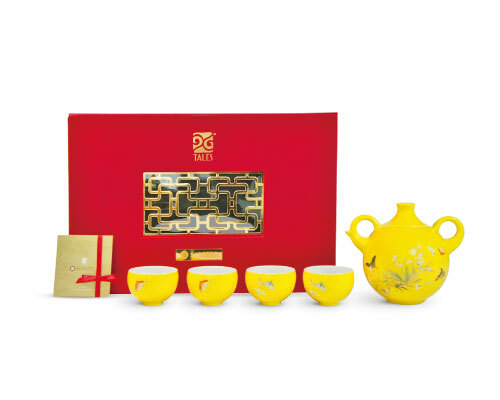 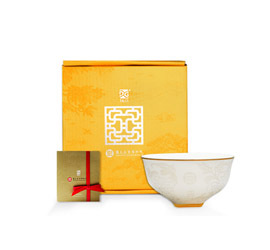 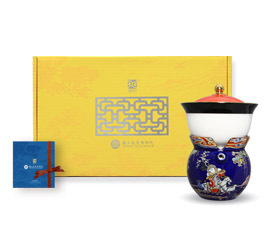 This refined and double-layer insulated one piece tea set is definitely with a high CP value. 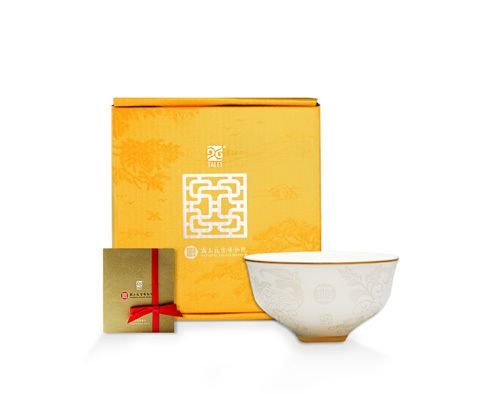 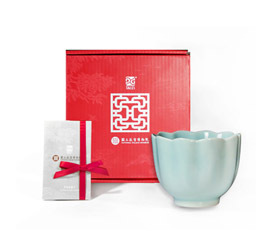 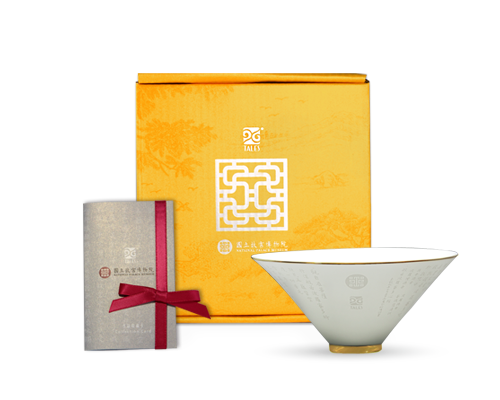 The inscription on the bottom of this thin fine bone porcelain bowl expresses good luck and auspiciousness, and therefore a big hit as a present! 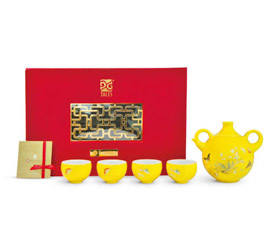 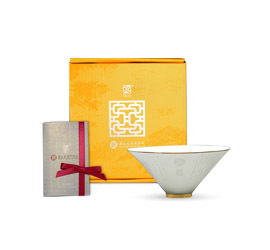 This elegant multi-functional housewares set is inspired from the calligraphy works by Ouyang Xun of Tang Dynasty. 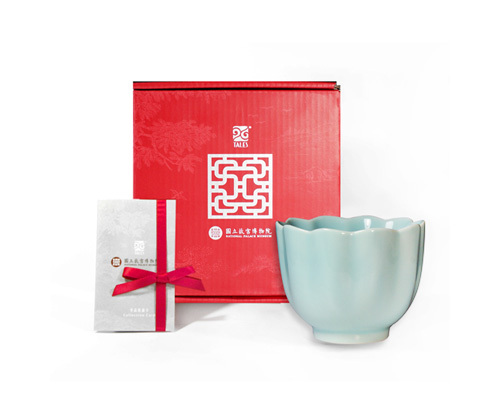 With Heart Sutra inscription on its body, one can enjoy the joy of Zen while using this pure white utensil. 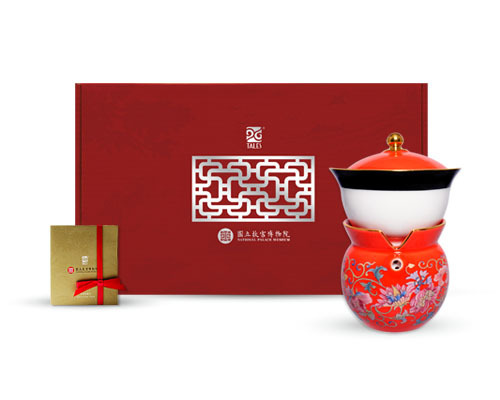 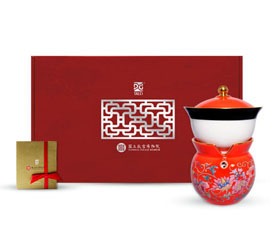 The round teapot with the handgrip up looks like the Arabic numeral "8", symbolizing an endless circle, auspiciousness and perfection of the world, and a good fortune for the presentee. 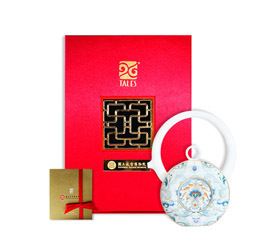 The design concept of this functional tea set with a simple but elegant shape is originated from Dong Gao's painting, and shows a great taste from the presenter. 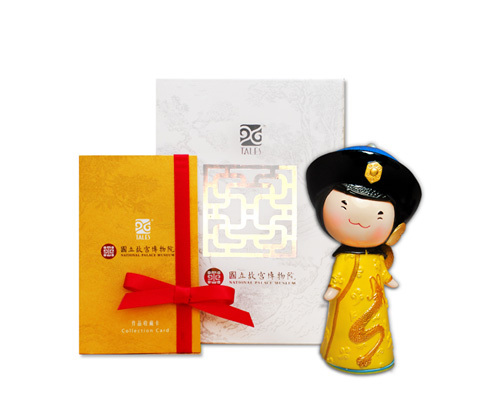 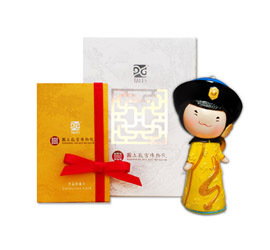 This appreciation seal with cutie and childlike style is inspired from the great emperor Qianlong of Qing Dynasty, and no doubt a good bargain present.